Time 7.00pm - 8.30pm approx. 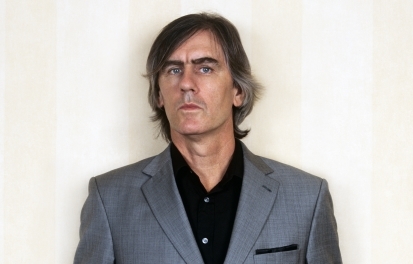 Robert Forster, best known as front man for the legendary Australian band The Go-Betweens, appears in conversation with Hawke Research Institute Director, Professor Anthony Elliott. With the release of his eagerly awaited sixth full-length studio album due for release in September, Forster will reflect on his career from the music and magic of The Go-Betweens, his solo work and writings as a music critic for the Monthly. This is a rare chance to witness one of Australia’s finest songwriters in conversation and performing live. Robert Forster was a founding member of The Go-Betweens and co-writer of “Cattle and Cane” Number 20 on APRAs Top Australian Songs List and is currently a writer, solo artist and performer with an ardent following in Australia, Germany, the UK and the US. Presented as part of the Hawke Celebrity Studies Series. For all event enquiries, email HRIevents@unisa.edu.au or phone 08 8302 1071. An encore performance of Danger in the Past: An Evening with Robert Forster of The Go-Betweens will be held at the Museum of Old and New Art (MONA), Tasmania on Friday 21 August 2015. Presented by the Hawke Research Institute in Partnership with the Museum of Old and New Art.